I had the pleasure of making some simple, whimsical pieces for Raechel + Ian’s fall wedding. 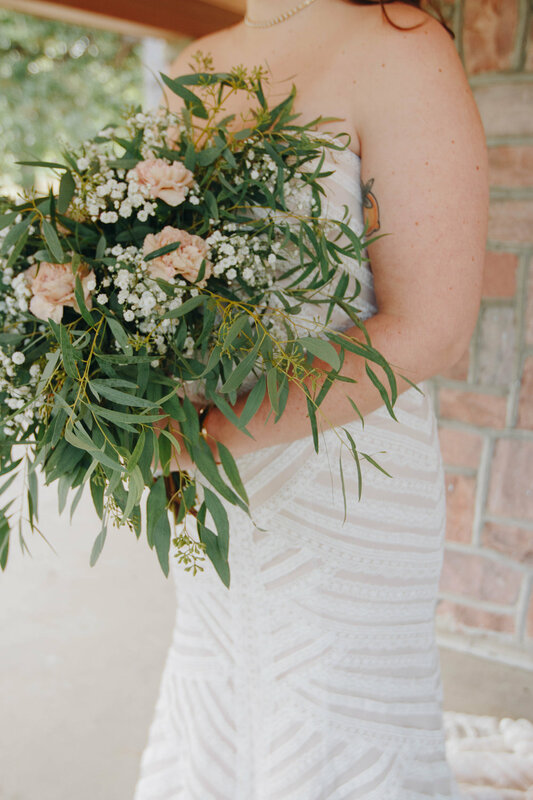 We opted for willow eucalyptus to create a a more free flowing bouquet with pops of colors from bright purple and pink carnations. 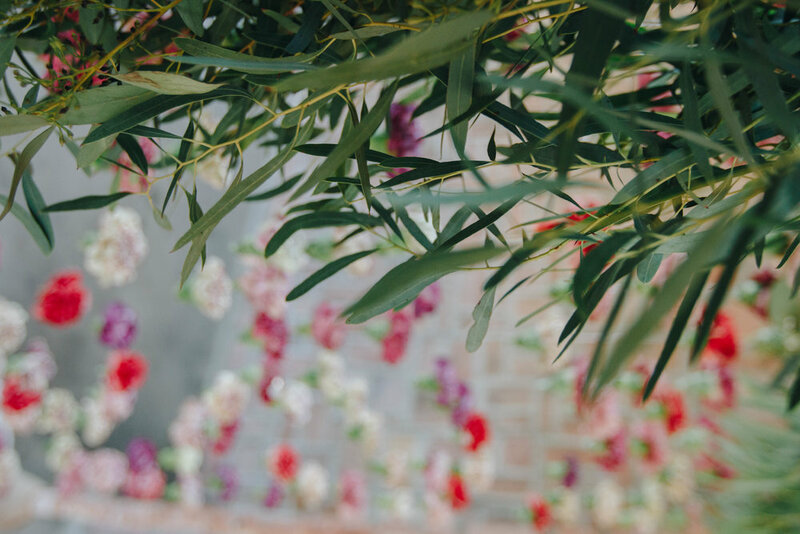 Their ceremony backdrop is made up of strung carnations, again to give the bride and groom a pop of color for their “I dos.” I loved how these simple carnations really helped transform their backdrop! Thanks to Raechel and Ian for being the most laid-back bride + groom I’ve ever, as well as Michal Chaplin for the photos.